Eliminate error B200 Canon printers ink cartridges, follow the steps below and if you have any questions write a comment. We have seen a solution to this problem when it occurs by heating in the ink cartridges, the workshop has been identified that can be presented by dirty connectors in the cartridges. 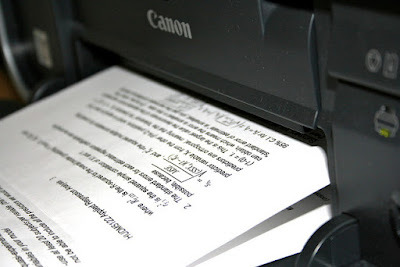 When a cartridge is not correctly recognized by the printer, the B200 error may appear to us on the screen, then steps to eliminate this error cleaning cartridge connectors. To clean the connectors should be aware, use a material that does not affect physically connectors this is one of the most sensitive parts of the cartridges, if any connector is detached from its place will be damaged. When the cartridge connectors are dirty, even by the same ink, it is as if there were to the printer. This will not recognize and present the B200 mistake, to clean the ink cartridges you should use a little water and a piece of damp cloth or cotton. You can help our publication on how to clean an ink cartridge, we recommend using a napkin or soft material with isopropyl alcohol, the same spirit we used to heal wounds. You can use a swab and connectors go through a more thorough cleaning cartridge let stand for a while before starting the printer.